Helen Kincaid, 104, of Tipton, passed away at 4:35 p.m. on Wednesday, August 1, 2018, at Miller’s Merry Manor in Tipton. She was born February 24, 1914, in southern Indiana in Jackson County, to Lynn and Bonnie (Lawson) Herron. On June 4, 1932, she married Willard “Bill” Kincaid, in Sharpsville, and they were married for 44 years before he passed away on June 15, 1976. Helen graduated from Sharpsville High School in 1932. She was a stay-at-home mother until her children were out of school. She worked at the Tipton County Hospital and then several years as a medical assistant at the Tipton Clinic. 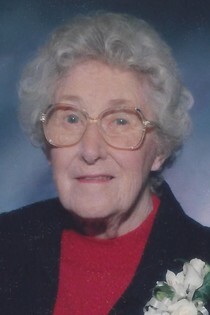 She enjoyed reading and was a member of the Eastern Star and Sharpsville United Methodist Church. She is survived by her sons, Jerry L. (Joyce) Kincaid and Stanley (Paula) Kincaid; daughter-in-law, Betty Kincaid; grandchildren, Pam (John) Zelinsky, Jennifer (Gerald) Kitchens, Brian (Kelly) Kincaid, Doug (Tina) Kincaid and Scott Kincaid; and nine great-grandchildren. In addition to her husband, she was preceded in death by her parents; son, Larry J. Kincaid; granddaughter, Sheryl Hinshaw; and three sisters, Nellie Richter, Mary Clevenger and Catherine Robeson. A memorial service will be held at 2 p.m. on Saturday, August 18, 2018, at Boyer Funeral Home, 204 N. Church St., Sharpsville, with Pastor Mandie Gould officiating. Entombment will take place at a later date in Sunset Memory Garden Cemetery. Friends are invited to visit with the family from 1 to 2 p.m. on Saturday at the funeral home. Messages of condolence may be left online at www.stoutandson.com.